Caroline Chisholm School has a compulsory school uniform for all students in Years 6-10. Our School Board Uniform Policy enables students to identify as part of the school community and culture. This policy applies whenever students are present at school or on a school excursion. What constitutes Caroline Chisholm School Uniform? The P&C operates a Uniform Shop, located on the Senior Campus. The shop opening hours are Tuesdays from 8.00 - 10:00am and Thursdays from 2.30-4.30pm, during school terms. 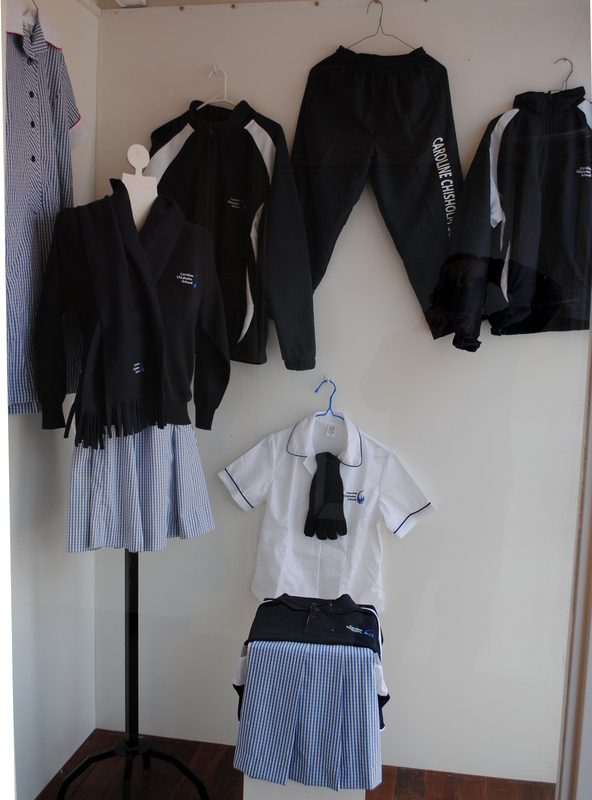 If you are unable to visit the shop, uniforms can be purchased via email to the shop or through Flexischools. All orders outside of shop hours will be taken to the relevant junior/senior campus on Tuesdays after closing and Thursdays prior to opening unless informed otherwise. Uniform non-compliance will be monitored through Contact Class and will be recorded in a central database. Students who are recorded as out of uniform for more than five days per term, may be excluded from excursions in line with the excursions policy. Students who are out of uniform will be required to remain in an allocated uniform non-compliance area during recess and lunch. Students must be in school uniform to attend school events/excursions. Any student who arrives for an excursion out of uniform will remain at school unless suitable compliant clothing is sought. Minimum requirements must also be met throughout the term in accordance with the excursion policy, including uniform compliance. Students who are recorded as out of uniform for more than five days per term, may be excluded from excursions.